While I’m on a roll with new wearable discoveries, I thought I’d add a link to a FREE pattern and tutorial I found while reading my April, 2013 Martha Stewart Living magazine. Just click here for a design you can adapt for a dress, tunic, or blouse–long-sleeves or short. I love the idea of a tunic with a belt! P.S. You still have two more days to enter the Origami Owl blogger locket giveaway! The winner will be announced on Monday. Can’t wait! Thank you for linking to this. I wanted to find a free tunic pattern to make so I could do sashiko embroidery on it. Very cute! Thanks for sharing the idea and pattern. Garment sewing is my latest obsession. Thanks so much for the link! 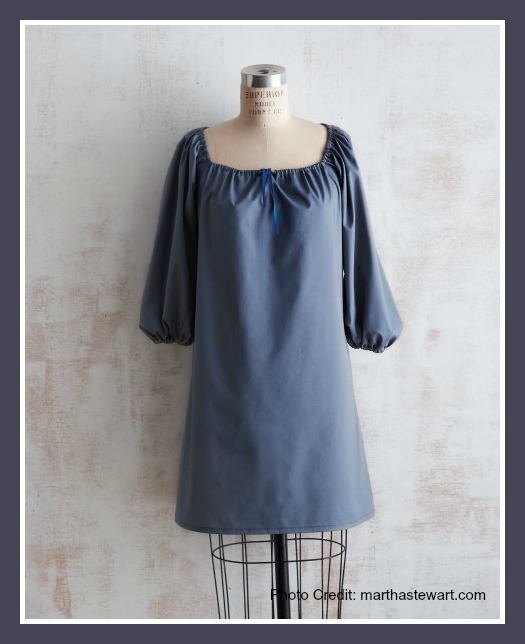 That looks like the perfect summer casual top/ dress. 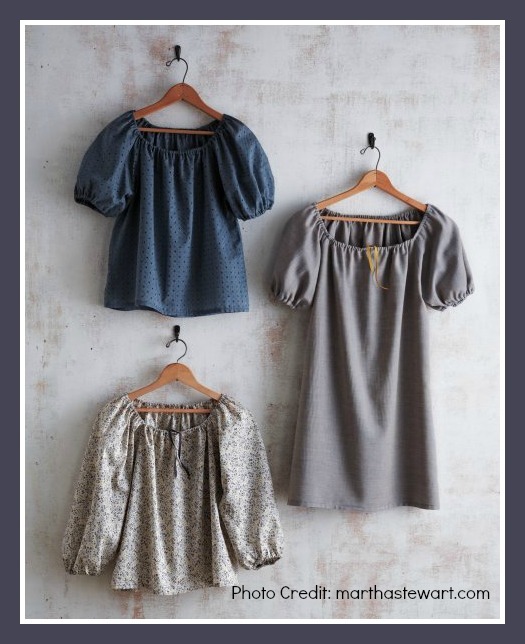 tunics seem to be the “thing” right now…will have to check this out! Thank you so much for finding the pattern and letting us all know about it. I have boxes full of patterns but this one seems simple. Since I’m finally trying my hand at sewing again, I’ll have to give it a whirl. Comment on previous comments. If someone is looking to buy a machine to learn to sew, get the basic of the best to keep from being frustrated by the machine itself. Husquvarna, Pfaff, Bernina or Babylock are my recommendations. I’d like to see the one eclecticlamb does sashiko embroidery on. I’m sure it will be stunning too. I don’t comment often but I always visit. You have so much fun stuff even though I have no little ones to make things for anymore. Maybe later. Singer used to make a good machine. The r ally old ones are the best. Can’t count on the newer versions as much. I love me a tunic myself…it’s a great way for me as a theatre teacher to feel “dressed up” but still have pants on so I can play the theatre games with my students and not worry about my dress flipping up. Thanks for sharing the link to this freebie! I love me a good freebie! Oh fab! I’m definitely going to make at least one of the long tunics; they’re so good for wearing over tights or leggings at work and still being dressy enough. Thanks for the link! Thanks so much for this link. Love a freebie dressmaking pattern. I am printing it off now as I type. Looks like a great dress and top. It doesn’t seem to get very good reviews on MS.com, but seems very similar to a pattern I have made a few times, Simplicity 3835. I think the instructions on how you put it together on MS are a bit confusing though. I have made the similar one about 8 times, once you get the hang of the elastic it’s really easy and I love it. I just wanted to let you know that I enjoy reading your blog, and have nominated you for the the Liebster Award. http://cocopaws.wordpress.com/2013/04/07/liebster-blog-award/ Thanks for a wonderful inspiring blog! I just checked them out Katherine, I love these; they are perfect for summer! Easy to wear for mommy with a baby and you need to go for groceries or park! thanks for sharing this freebie! What a great share Kathryn you’ve got everyone v excited ! Have I missed the communion dress tah dah ??? Thank you for sharing, I’m definitely going to make this one!